Opening arguments in the second Aaron Hernandez homicide trial begin next week and ahead of the start of the trial, his attorneys have filed a list of witnesses they might call or mention during the trial. Among the names are Patriots head coach Bill Belichick and offensive coordinator Josh McDaniels; McDaniels might be called to testify about one of Hernandez’s tattoos, which prosecutors claim commemorates the 2012 double homicide in Boston for which Hernandez will stand trial as the primary suspect. Bob McGovern at the Boston Herald—who, if you still have interest in the Hernandez homicide story, is the person you should read—pointed out the inclusion of these experts this morning. McGovern reminds that marijuana played a central role in Hernandez’s first murder trial, for which he was convicted for the 2013 murder of Odin Lloyd and sentenced to life in prison. Hernandez’s defense attorneys at the time attempted to establish a relationship between Hernandez and Lloyd that was central to them getting high in Hernandez’s man cave to show that they were friends, and who would murder their friend? 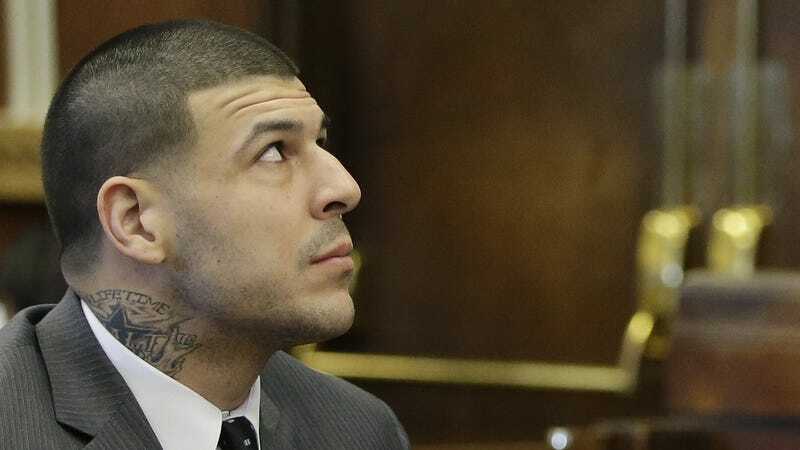 However, the 2012 case that goes to trial next week is for a drive-by shooting that left Daniel de Abreu and Safiro Furtado dead and a survivor, Raychides Sanches, to testify against Hernandez. Whatever comes of the expert to testify about the use of marijuana in the NFL, the possible deployment of an expert to ostensibly draw a line between Hernandez’s marijuana use and a diminished mental capacity, to a point where someone may or may not be lured into homicidal tendencies, is really the main event here.